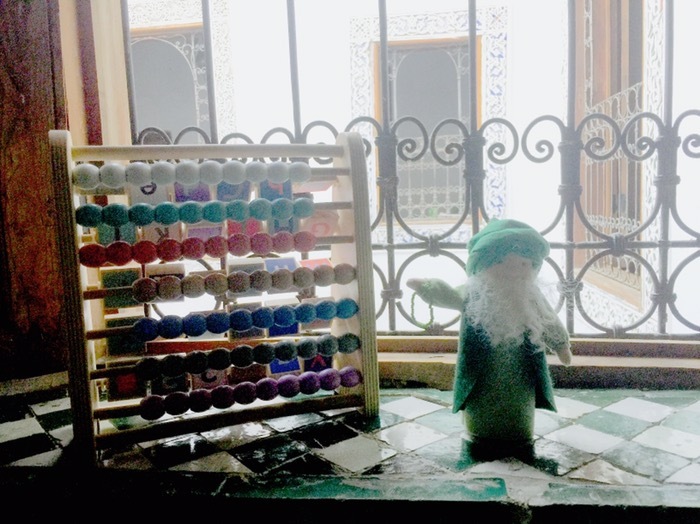 Today our little dervish doll is showing us the approximate number of days we will fast on this abacus. Although it can be more or less days due to moon sighting the month of Ramadan is approximately 30 days. 30 beads are counted out by our little shaykh to demonstrate the quantity of time we will fast. Numbers can be very abstract to children especially when it had to do with the passing of time. Montessori learning tools like this abacus can help children to see and touch as well as hear what a number means in multi sensory terms. A scene like this can help a child to use their abacus and their doll to count out the days and see how much 30 is so that the concept makes more sense to them. Please share your ideas for using creative play to teach children about the rites of Ramadan. We are currently searching for a new manufacturer for the Dervish Dolls. Please leave a message for us on this post if you are interested.